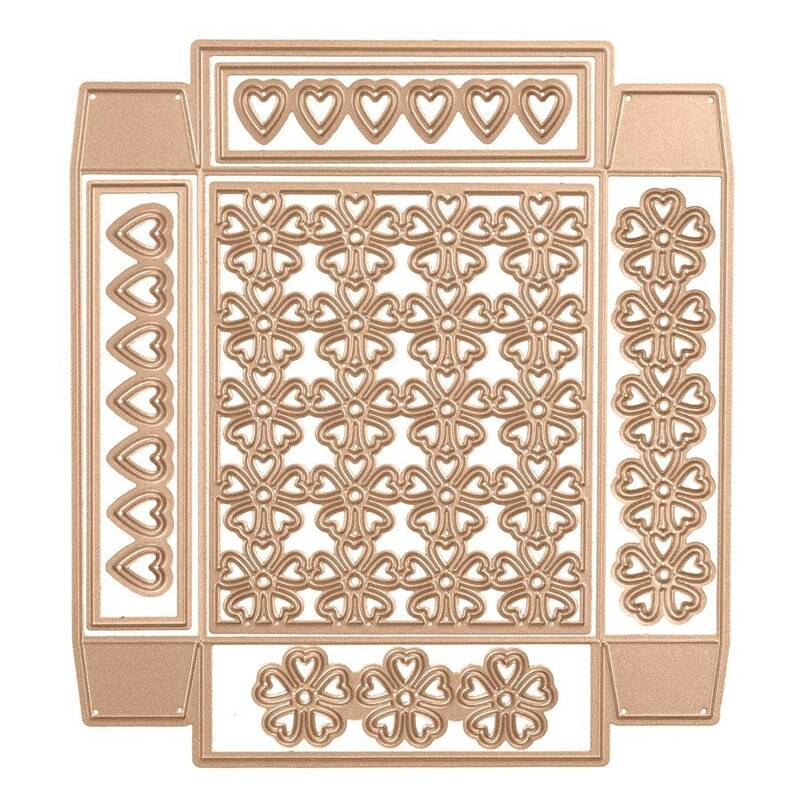 Shapeabilities Heart Flower Box Etched Dies is a set of eight dies to create a lovely box including all the designs needed to decorate the box for a beautiful presentation. Blooming Garden Collection by Marisa Job brings sweet floral designs in many forms from accents to boxes to frames. Perfect for special occasions such as weddings, showers or as a lovely gift. 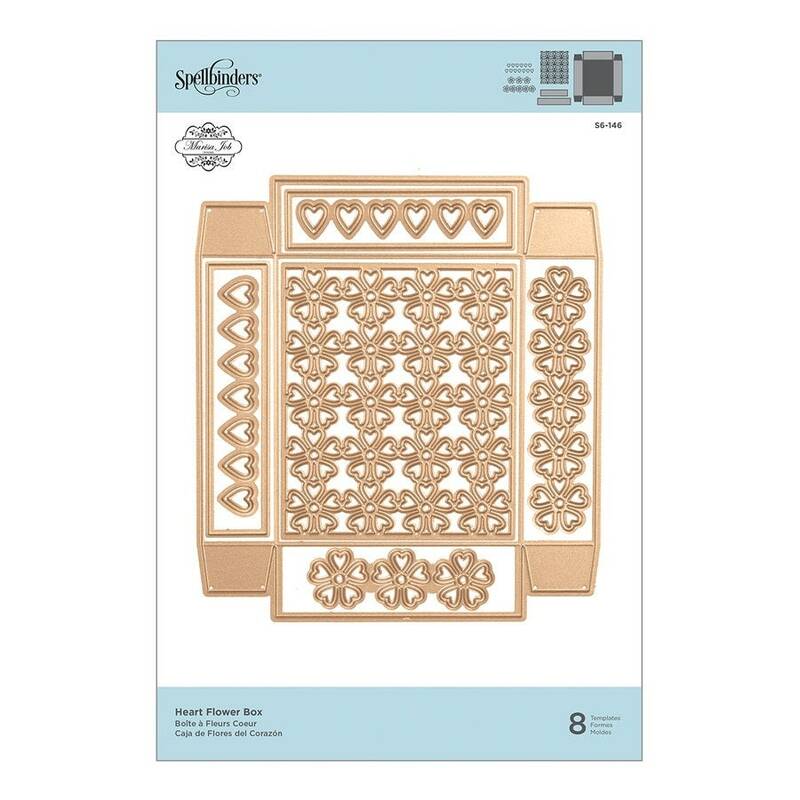 To create the box, die cut 2 pieces using the Heart Flower Box Die, one is for the box base and the other piece is for the box lid. Apply double sided tape to all 8 tabs. When adhering the 4 tabs for the base of the box, make sure the tab is under the side of the box a bit passed the folding line. This will make the box base a little smaller. When adhering the 4 tabs for the lid of the box, make sure the tab is under the side of the box a bit before the folding line. This will make the box lid a little larger for a nice fit over the base of the box. 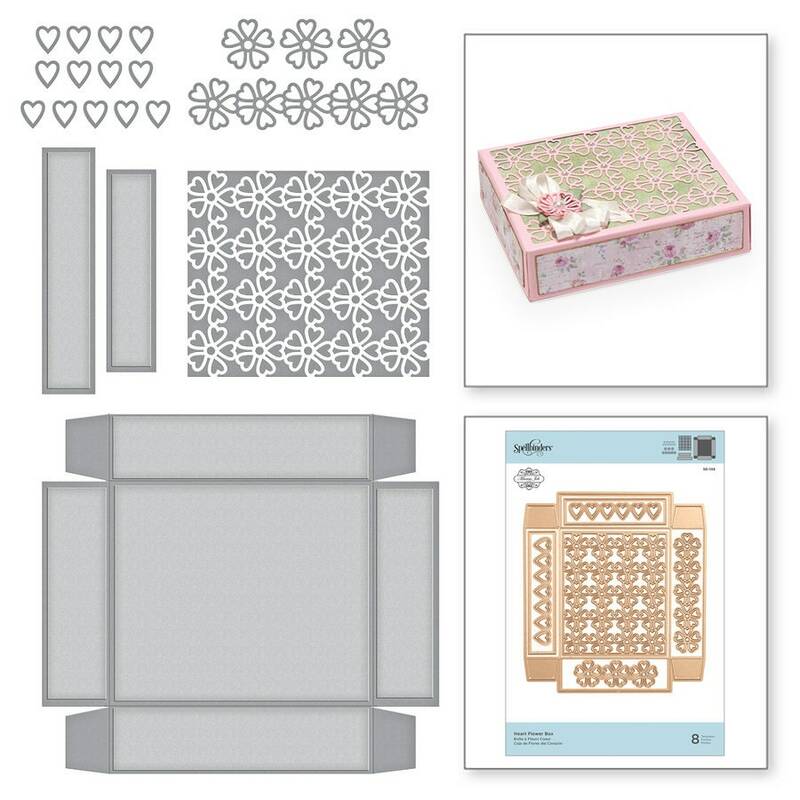 Decorate the box with the optional flower overlay dies.